June 3, 2018, Victoria B.C. 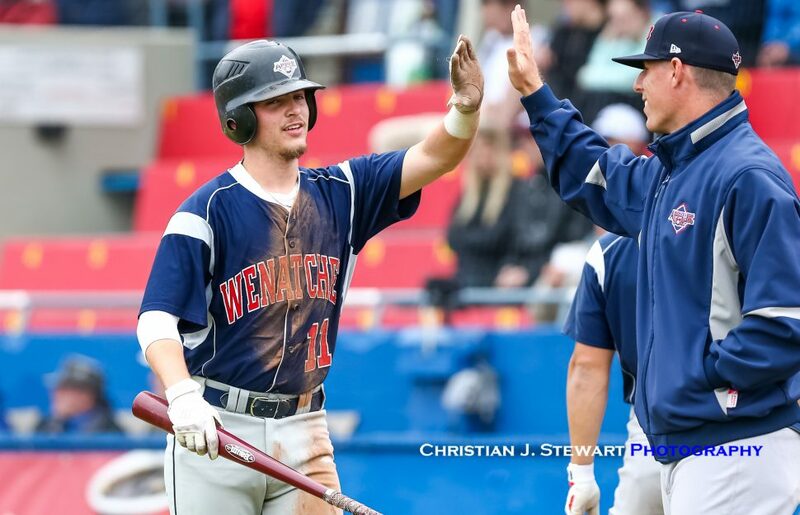 – A thirty minute rain delay and overcast skies did little to disturb the Wenatchee AppleSox, but plenty to cool off the Victoria HarbourCats, as the AppleSox pounded out 13 hits en route to a 14 – 2 win over the Victoria HarbourCats Sunday afternoon at Wilson’s Group Stadium at Royal Athletic Park. 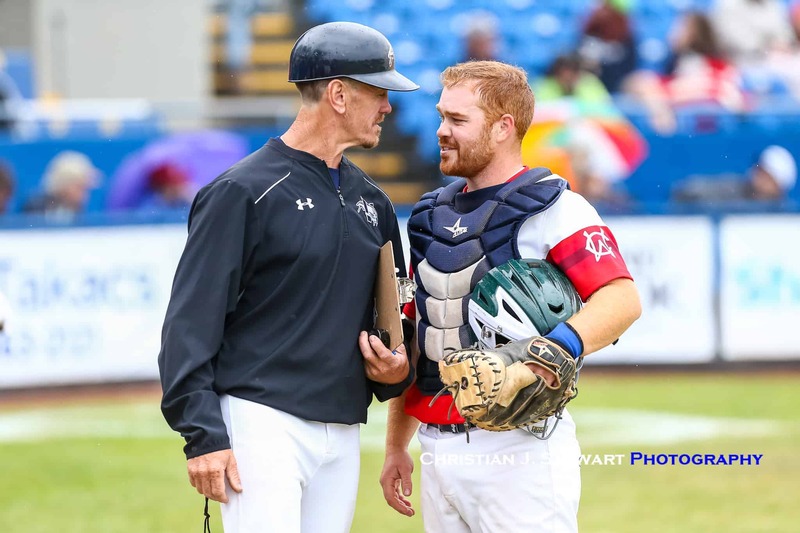 The win, played in front of a hardy group of 1,208 fans, gave the AppleSox the series victory over the HarbourCats, following the AppleSox 2-1 win Friday and the HarbourCats 7-1 win Saturday night. 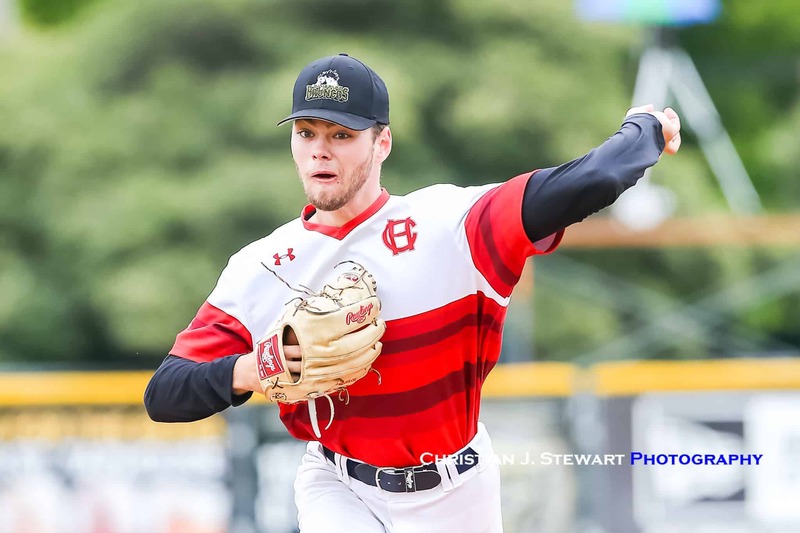 The AppleSox were buoyed by a fantastic start from pitcher Hunter Boyd, who carried a no-hitter into the sixth inning, facing just two batters over the minimum during that frame and finished the night with eight strikeouts over seven innings pitched. The HarbourCat’s countered with Washington State’s Connor Nantkes and he got into some trouble in the top half of the second. 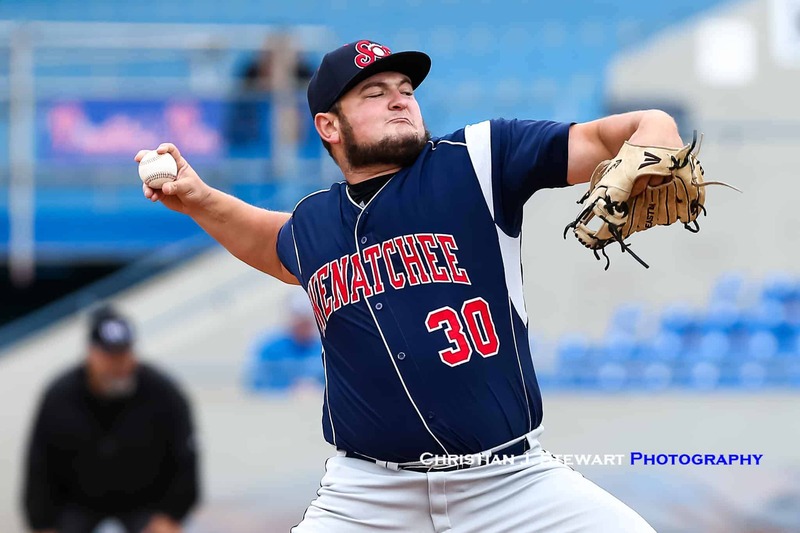 Nantkes, a 6’2” 180lb southpaw, gave up two singles to start the inning and on the first pitch of the at-bat to Wenatchee Infielder Joey Magro he smacked the offering back up the middle to give the AppleSox a 1-0 lead. JaShaun Simon doubled the ‘Sox lead with a RBI single in the next at-bat, and Infielder Mason Marenco hit into a Fielders Choice to increase the Wenatchee lead to three. There would be no reprieve for the home team, as Cory Meyer in the next at-bat continued to pad the early AppleSox lead with a 2-out RBI single — the fourth single of the inning off Nantkes. 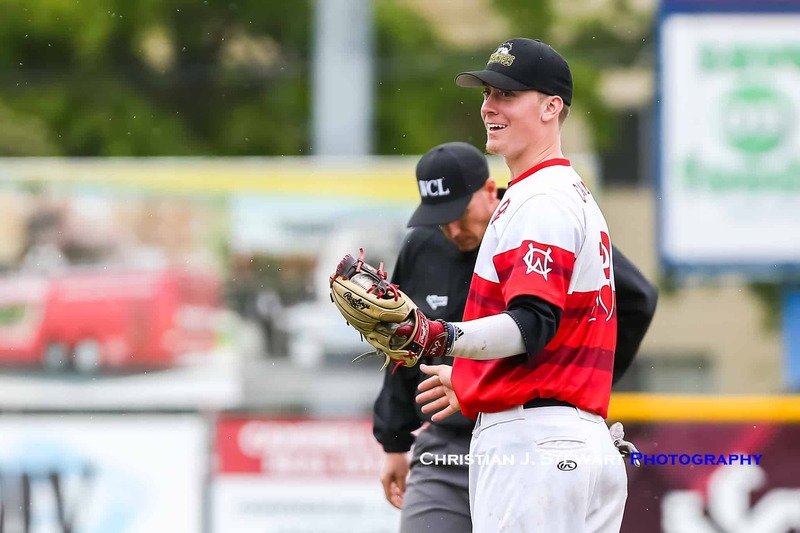 To start the third, Manager Brian McRae decided to give Nantkes the hook – Nantkes was roughed up for five hits and five runs in just two innings -and brought in right-hander Garrison Ritter of St. Martins university. Boyd’s strong pitching continued into the later stages of the ballgame, as the Moses Lake, WA resident never faced more than four HarbourCat batters in a single inning until catcher Sam Nastari broke up Boyd’s no-hit bid with an infield single to start the home half of the sixth inning. Ethan Fox, who took the loss in 3 2/3 innings pitched in the series opener Friday Night, played left field Sunday and contributed with a RBI single in the sixth to trim the ‘Sox lead to 8-1, with Colton Peha following with another RBI-single to score the ‘Cats second and final run of the game. A sloppy Victoria defence, with a total of six credited errors for the game, gave Wenatchee two more runs in the seventh, plus one more in the eighth and ninth, as they cruised to the twelve-run victory. The loss drops Victoria’s record to 1-2 in the early portions of the season, but with most of their regular players taking part in the NCAA World Series this month, the ‘Cats will look to the reinforcements to provide more stability as the pennant race heats up in the latter parts of the season. Up next for the HarbourCats is a mid-week visit from the the Yakima Valley Pippins, who split the head to head series with Victoria 3-3 last season. First pitch is scheduled for 6:35pm on Tuesday June 5th, with game two slated for Wednesday night at 6:35 pm. 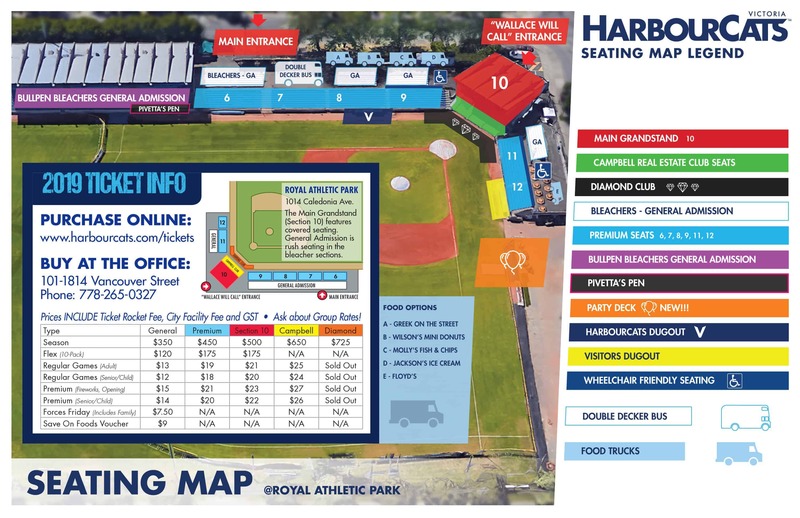 Game three is an 11:00 am start, as the HarbourCats will welcome over 2,400 school kids to the park for the Annual School Spirit Game.